I feel increasingly concerned about what I believe to be a mounting and extremely dangerous cultural threat looming on the horizon: panpsychism, the notion that all matter has consciousness, as opposed to being in consciousness. At a historical nexus when new data and more critical thinking are finally rendering materialism logically and empirically inviable, panpsychism comes in as a tortuous but seductive bandaid. It threatens to extend the delusion of a universe outside consciousness for yet another century. In this essay, I'd like to try and raise the alarm about it. Panpsychism Interpretation 1: consciousness is just one more irreducible property of matter at a subatomic level, just like mass, charge, spin and momentum are also fundamental properties of subatomic particles. In other words, all matter has consciousness at a fundamental level. Matter, however, remains the broader and more primary matrix of reality. Panpsychism Interpretation 2: consciousness is the intrinsic nature of matter, not just one more of its properties. However, consciousness is still considered fundamentally fragmented in exactly the same way matter is. In other words, distinct bits of matter – that is, subatomic particles – represent distinct bits of consciousness. According to this view, a single isolated electron has its own very simple form of consciousness: there is something it is like to be an isolated electron. More complex arrangements of matter, like a human brain, allegedly aggregate these bits of consciousness together to give rise to richer, integrated inner lives of the kind you and I experience. The difference between Interpretations 1 and 2 is subtle. While Interpretation 1 takes consciousness to be just one more irreducible property of matter – the substance of matter still existing outside consciousness – Interpretation 2 takes consciousness to be matter's intrinsic nature. According to interpretation 2, measurable properties like mass and charge are just the extrinsic – external – aspects of this intrinsic nature. That said, Interpretation 2, just like Interpretation 1, also entails that the structure of matter determines the structure of consciousness: the subatomic, fragmented building-blocks of matter still allegedly correspond to fragmented building-blocks of subjectivity. A more technical discussion of these interpretations can be found in this paper by philosopher David Chalmers. Our mainstream cultural view is that of philosophical materialism: the notion that the real world consists of matter and energy fields allegedly outside, and independent of, consciousness. Supposedly, it is particular arrangements of matter in this objective world, in the form of biological brains and their respective metabolic activity, that somehow generate consciousness. 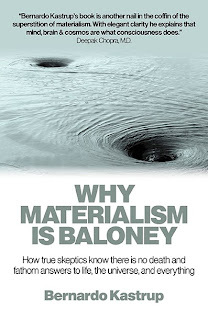 A key problem with materialism, however, is that it has been unable to explain, even in principle, how arrangements of matter can possibly generate subjective experience. This is known in neuroscience and philosophy of mind as the 'hard problem of consciousness,' which one of my readers cogently discussed in an earlier essay. The problem is so disconcerting that some materialist philosophers even try to absurdly deny the very existence of consciousness, the sole carrier of reality anyone can ever know. I discussed this appalling philosophical abomination in an earlier essay and, more extensively, in my new book Brief Peeks Beyond. Now, as also discussed in Brief Peeks Beyond, the inherent contradictions and in-your-face absurdities of materialism are rendering it untenable in the present historical nexus. 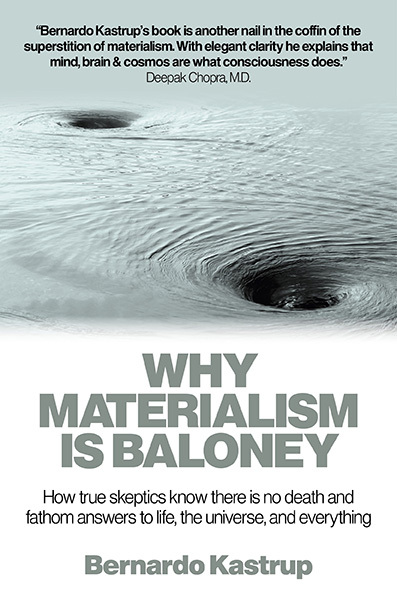 In other words, reason and observations are pushing materialism to the breaking point. This is a unique opportunity for our culture to finally recognize and revise its delusional way of looking upon reality and our own nature, the implications of which, as discussed in this essay, could be enormous. But here is where panpsychism raises its head as the greatest threat on the horizon: it provides an easy escape route for the materialist. It magically 'solves' the hard problem of consciousness simply by declaring consciousness to be either an irreducible property, or the intrinsic nature, of matter. This way, it maintains our present delusion that matter – either in substance (Interpretation 1) or in structure (Interpretation 2) – is the primary aspect of reality. It threatens to usurp from us the unique opportunity we have today to face and correct our delusional worldview. It threatens to deflate all momentum currently building up towards a more truthful ontology. If the interpretations of panpsychism discussed above end up sticking, we will be in for another century of madness. May this essay help raise the alarm against this danger. The body of my work is a defense of what in the West is called the philosophy of Idealism. In the East, essentially the same view is entailed by the philosophies of Nondualism. According to this view, all reality consists in excitations of consciousness, there being no need to infer a material world fundamentally outside consciousness. As such, reality is akin to vibrations of a 'membrane' of pure consciousness, an idea indirectly corroborated by M-theory. The intricate patterns and regularities of these vibrations are the universe around us. Yet, in the same way that there is nothing to a vibrating membrane but the membrane itself, there is nothing to the universe but consciousness itself. The universe is a behavior of consciousness, not an ontological entity outside and independent of consciousness. I recently summarized this view in a brief essay that can be found here. However – and to my horror – my ideas sometimes get conflated with the interpretations of panpsychism discussed above. So before I discuss my argument against panpsychism, I want first to make clear how the latter differs from Idealism/Nondualism. Interpretation 1 of panpsychism squarely frames consciousness as subordinate to matter. Even while granting consciousness the status of an irreducible property, it does so by saying that it is a property of matter. In other words, matter still allegedly exists as a substance outside consciousness, which simply happens to have consciousness. My formulation of Idealism, on the other hand, is very different: it states that matter appears in consciousness as a particular modality of excitations of consciousness. We call these excitations our sense perceptions. Matter does not exist outside or independent of consciousness and, as such, it can't have consciousness. Nothing can have consciousness because consciousness is all there is. Consciousness isn’t a property of matter, but matter an excitation of consciousness. Do you see the gargantuan difference here? Interpretation 2 of panpsychism imposes onto consciousness the boundaries, divisions and structure we discern in matter. From an Idealist/Nondualist perspective, it's like discerning the different brush strokes that make up a painting and then concluding that the painter is composed of brush strokes! If, as I argue in my formulation of Idealism, reality are the patterns of excitation of consciousness, like ripples are patterns of excitation of water, what Interpretation 2 does is to look for the structure of the ripples and then attribute that to the water itself. Imagine discerning concentric rings of ripples when a stone is dropped in a pond, and then proceeding to say that the water is made up of concentric rings! How logical is that? You see, the pattern of ripples is the structure of the behavior of water, not of water itself. Similarly, the structure we discern in empirical reality – subatomic particles, forces, etc. – is the structure of the behavior of consciousness, not of consciousness itself. It is the structure of the painting painted by consciousness, not of the painter. Because of this misattribution, Interpretation 2 entails that consciousness is fundamentally fragmented, atomized, and that the complex inner life of human beings is built bottom-up, through an entirely unexplained aggregation of separate bits of consciousness. This is contrary to the key notion of Idealism/Nondualism that consciousness is unitary and essentially undivided. In my work, I call this unitary consciousness 'mind-at-large' (in honor of Aldous Huxley, who first used the term in the 1950's). Many in Nondualism call it 'Infinite Consciousness,' or 'Cosmic Consciousness,' or 'Brahman,' etc. In all cases, the idea is that consciousness is fundamentally one. As I discuss in Brief Peeks Beyond, the appearance of individual, separate psyches arises from a process of dissociation of mind-at-large, analogous to how people with Dissociative Identity Disorder (DID) exhibit multiple, disjoint personalities that are often unaware of each other. This way, separate personal psyches are illusions arising from top-down dissociations of mind-at-large, as opposed to the bottom-up aggregations of 'bits of consciousness' entailed by panpsychism. This difference between panpsychism and Idealism/Nondualism is critical: the former proposes fragmentation as the fundamental reality, while the latter proposes unity, fragmentation being just an illusion arising from dissociative processes. Both interpretations of panpsychism imply that every inanimate object has its own subjective inner life. In other words, they imply that there is something it is like to be your home thermostat, or a chair, or a rock. This is not implied by Idealism/Nondualism, which state that all objects are in consciousness, not that all objects are conscious. I discussed this difference in this essay and, more extensively, in Brief Peeks Beyond. Idealism/Nondualism are not panpsychism. Indeed, in many ways these are even opposite worldviews. The problem with panpsychism is, of course, that there is precisely zero evidence that any inanimate object is conscious. To resolve an abstract, theoretical problem of the materialist metaphysics one is forced to project onto the whole of nature a property – namely, consciousness – which observation only allows to be inferred for a tiny subset of it – namely, living beings. This is, in a way, an attempt to make nature conform to theory, as opposed to making theory conform to nature. You may claim that it is impossible to assess whether an inanimate object, like a thermostat, is really conscious or not. This is true: we cannot even know for sure whether other people are really conscious, since it is impossible for us to gain access to the inner life of someone or something else. For all you know, everyone else is just a kind of sophisticated biological robot, completely unconscious, but manifesting all the right conscious-like behaviors out of complex calculations. Still, the point here is not what can be known for sure, but what inferences can be justified on the basis of observation. That’s all we can hope to accomplish when developing a worldview. And we can infer that other people are conscious. After all, we observe in other people, and even in animals, behaviors that are entirely analogous to our own: they scream in pain, behave illogically when in love, sigh deeply when lost in thoughts, etc. We explain our own manifestations of these behaviors based on the firsthand knowledge that we are conscious: you know that you scream because you actually feel pain. So it is reasonable to infer that other people, who are physically analogous to you in every way, manifest those same behaviors for the same reason that you do – namely, that they are also conscious. Were it not to be so, we would need two different explanations for the same types of behavior in entirely analogous organisms, which is not the simplest alternative. Available in all good online stores. Unsupported by evidence. I can only prove to myself that I, as a living being, have a private inner life. To the extent that other living beings display behavior analogous to mine and share the essential feature of metabolism that characterizes me, I feel comfortable enough inferring that they, too, have private inner lives. But I cannot make the same inference about an inanimate object: it neither displays conscious behavior nor does it have metabolism. Unfalsifiable. There is no conceivable way to disprove that there is something it is like to be a chair or an isolated neuron, since the only way to check it is to be a chair or an isolated neuron, which I am not. Inflationary. It implies an exponential explosion of dissociated streams of inner life in the universe. Something that is unsupported by evidence, unfalsifiable, unnecessary and inflationary might as well be discarded in an ontology. Therein lies my argument against the two interpretations of panpsychism discussed here. It is true that Idealism/Nondualism imply that the universe as a whole has subjective inner life; in other words, that there is something it is like to be the whole universe. This is discussed in more detail here. But attributing inner life to parts of the whole – unless one can infer dissociation from the observation of behaviors and metabolic activity – is a mistake of categories. It attributes to a part, without empirical or logical grounding, a holistic characteristic that can only be inferred for the whole. Panpsychism, according to the two interpretations of the term discussed in this essay, is fundamentally different from Idealism/Nondualism. Moreover, it doesn't stand to logical and empirical scrutiny as Idealism/Nondualism do. It doesn't even stand to subjective introspection: spiritual traditions in both East and West have always insisted that consciousness is, at bottom, one. Indeed, these traditions directly contradict the notion that consciousness is fundamentally fragmented and scattered. That panpsychism today often passes for a more scientifically-consistent form of Idealism/Nondualism is a dangerous confusion that, if left unchecked, threatens to perpetuate our delusion. Most worryingly of all, this confusion seems to be common even in Nondualism circles. It has the added virtue of appealing to a very wide variety of people, and generally is more accessible than monistic idealism. There is a conference this month at Claremont College on process philosophy, much of which is associated with, if not panpsychism, at least, panexperientialism. I would add, if monistic idealism gets too popular, it will obscure the value of non dualism, particularly of integral non dualism. I wasn't able to look at your document, Don: got the message I wasn't authorised. I had no other word to use. Nobody uses a word different than 'panpsychism' to described the ontology I wanted to argue against. If I had a better word, I would have used it. All this said, I never disputed that there are many other interpretations of the word 'panpsychism' that differ radically from the ones I dispute. I actually started my essay by acknowledging this explicitly. 'Pan - psychism' means literally 'soul everywhere,' which suggests an 'everywhere' outside soul, so soul can be in it. I reject that: 'all-wheres' are in consciousness/soul, in my view. There is a wonderful quote by Henry Corbin that captures this: 'it is the where, the place, that resides in the soul.' (Swedenborg And Esoteric Islam, page 14). I believe the most accurate term for this is 'Idealism,' not 'panpsychism.' If others articulate this ontology under the label 'panpsychism,' very well; what can I do? I would have chosen differently. Be it as it may, again: I needed a word to identify the particular ontologies that I described and tried to refute in my essay. There was no other word but panpsychism, because it is the word used by those who promote those views. If anyone is to blame, I guess it is them. I just felt the need to make a very brief comment on these definitions and the way they were dealt with. I think that since you defined very well what you were talking about (and you even warned the readers about the many other interpretations of the word panpsychism), it doesn't matter whether other definitions of panpsychism come closer or farther from idealism/nondualism as discussed by you here. Further, I think the comments from Don are good additions to this whole topic. Good stuff! Thank you. (though I may not agree with it altogether). Hi Julio: Having thought about this for awhile, and read more carefully what Bernardo wrote, I believe I understood more clearly his intention. I think what he's applying is what the Buddhists call "skillful means". Whatever the "precise" definition of panpsychism is, it's true, as Bernardo observes, that in the world of "philosophy of mind", it is basically a very simplistic, "bottom up panpsychism" that is being discussed, and it's also disturbingly true that a good deal of what appears to be an attempt to do it differently ultimately ends up in the same trap as the mainstream academic panpsychists. So i think overall Bernardo's strategy is a very good one. Panpsychism is also baloney. Maybe I should stop typing so hard because the keyboard hurts? I think I agree with you, Bernardo, but on the other hand, panpsychism does at least represent some recognition of the role of consciousness in the universe. It's possibly a step forwards for materialists who have so far been insisting that consciousness is an emergent phenomenon, or even that it doesn't exist at all. Or don't you see it that way? Could a science that calls on panpsychism be any more misguided and constricting than what is currently taken as orthodoxy? MIchael and Bernardo - you might want to look at some of the mystical philosophies, which almost universally set up a mind-matter polarity which is quite similar to some forms of panpsychism, particularly Spinoza's. They of course go further - at least the non-dualist ones - and see both mind and matter as subjective/objective manifestations of an all-inclusive non-mental and non-material principle of Pure Existence/Consciousness. One might say it's a matter of semantics, but if you look more deeply into those philosophies rooted in empirical knowing, I don't think so. It would require a whole course in world philosophy to go into all the details. But I think, suffice it to say, there is a great deal of complexity and variation in the presentations of panpsychism that, if I may say so ever so gently, I believe goes beyond what is presented in this essay. I have grown weary of compromises recently. What are we committed to? To the truth? If so, we shouldn't take our eyes off the ball. The sole goal here is to get closer to truth, not accommodate the sensitivities of those promoting baloney, I guess. I think panpsychism, as I described it in the essay, is a lateral step, not a step forward (who takes eliminative materialists seriously in the culture at large anyway?). Your statement "both interpretations of panpsychism imply that every inanimate object has its own subjective inner life," overlooks a certain critical distinction found in almost all of the panpsychist literature I've ever read, namely, that consciousness is localized only in self-organizing systems. Therefore, your argument against the possibility of chairs and thermostats having consciousness seems to me a straw man attack. Of course there is nothing it is like to be a chair, because the chair is an arbitrary knot in the fiber of consciousness, existing in between the basins of attraction which define the various hierarchical levels of self-organization. There is no autonomous energetic processing happening within a chair which would integrate its parts in such a way that would allow consciousness to localize. However, it seems to me much more likely that there is something it is like to be a hydrogen atom, or a galaxy, or some other non-metabolic self-organizing system. These systems may not be metabolic, but the key distinction is that they exhibit self-sustaining and coordinated energetic behavior. If these systems aren't localizations of consciousness, what are they? They certainly seem to be held together and sustained by the same organizing/animating principle underlying life. Very few people (to my knowledge) are claiming that more complex conscious systems are made so by piling together lots of smaller conscious entities. Rather, the idea is that there is a certain hierarchy of conscious alters existing at different levels of self-organization. In between these levels are aggregates which are not conscious alters themselves (rocks, chairs, etc.). Therefore, most formulations of panpsychism are essentially fractal in nature. Localizations of consciousness occur at distinct levels (or attractors), and between these levels is a kind of no man's land. This is of course top-down, not bottom-up. There is an ontology, very popular in science today because of people like Christophe Koch, Galen Strawson, and even Daniel Dennett (who, in an interview, acknowledged that machines -- and all matter -- have a form of consciousness), that entails what I described in interpretations 1 and 2 in the essay. I needed a name for that ontology. Galen and Koch call it panpsychism. So a lot of people in science associate the term 'panpsychism' with the interpretations I described. Therefore, I used the word 'panpsychism.' Here is a reference to Galen's work, where he elaborates on his view: Strawson, G. (2006) Realistic Monism: Why Physicalism Entails Panpsychism, Journal of Consciousness Studies, Volume 13, No 10-11, Exeter, Imprint Academic. What you describe above seems entirely consistent with my own views. Since you use the term 'alters', I assume you are familiar with my output. Do I call my ontology 'panpsychism'? No. 'pan - psychism' means literally 'soul everywhere,' which suggests an 'everywhere' outside soul, so soul can be in it. I reject that: 'all-wheres' are in consciousness/soul, in my view. There is a wonderful quote by Henry Corbin that captures this: 'it is the where, the place, that resides in the soul.' (Swedenborg And Esoteric Islam, page 14). I believe the most accurate term for this is 'Idealism,' not 'panpsychism.' If others articulate this ontology under the label 'panpsychism,' very well; what can I do? I would have chosen differently. Could you share with me a reference to the best articulation of the type of 'panpsychism' you allude to? I am curious about it. PS: self-organization is a very broad and rather loose term. A nuclear explosion, for instance, is just a blind chain reaction. And so is fusion at the core of a star. I consider it arbitrary to say that alter formation is associated with any self-organizing system. Metabolism, on the other hand, is a dramatic example of self-organization in that it maintains a system out of thermodynamic equilibrium. As explained in the text, I believe this is as far as the evidence (both from introspection and observation) allows us to go as far as inferring alter formation. PS2: one must bite the bullet of whether 'psychism' is really everywhere or not. Panexperientialism is, at bottom, simply panpsychism, in that it postulates that there is experience -- faint as it may be -- in all matter. To say that this experience is incredibly faint, simple, monotonous, unintegrated, etc., doesn't change the fact that experience is still postulated. From that perspective, yes, there is still something it is like to be a chair -- faint as the case may be -- even in the case of panexperientialism. You can't get around this unless you incur in another sort of hard problem: conscious versus unconscious psychism. The latter is, in my view, a contradiction in terms; it has no meaning. I feel that panpsychism has been dismissed here a bit too easily. If I can ditch the numeral, maybe I can be allowed to refer instead to "substantive panpsychism" (as opposed to "property panpsychism"). The difference then between substantive panpsychism and Idealism/Nondualism is just the difference between pluralism and monism. Put succinctly: Is there just one of us, or are we a community? Does it follow from substantive panpsychism that "there is something it is like to be your home thermostat, or a chair, or a rock" - an absurd idea that seems to suggest a reductio? I don't see that. Suppose I am in deep sleep. Does there exist at that time "something that it is like for me to be me"? I would say no. Yet I exist, I have 'being' in that state. In that vein, why can't a substantive panpsychist reasonably claim that thermostats, chairs, and rocks, are consciousness "asleep" in some sense or to some degree? In arguing against "property panpsychism" Bernardo performs an epistemological audit with a pragmaticist Quinean flavour, and finds the hypothesis lacking. But I wonder if a substantive panpsychist might not turn the tables? If we start with the fact that our being is an irreducible given (absurdly denied by some materialists), isn't it just as much a phenomenological 'given' that "I *am*, but that I am *not* this, I am not *that*, and most certainly *not* you. So as I see it, the Idealist/Nondualist loses the 'prima facie' argument, though as some would have it, they might yet win at the last - if it can be engineered that some veil can be lifted, some delusion evaporated, or some such. Not sure I quite got what you meant by substantive panpsychism, but will try to comment. When you're in dreamless sleep, I'd say there is certainly still something it is like to be you, but you just can't remember it. The apparent 'unconsciousness' of deep sleep is a matter of memory formation, not of lack of experience. Otherwise, you are left with another 'hard problem': that of consciousness versus unconsciousness. If all is mind, what does it mean for mind to be split into conscious and unconscious aspects? This only makes sense under materialism, where they can talk of unconscious neural processes. Ultimately, either there is something it is like to be an object or there isn't. In case there is, then we can talk of many degrees and qualities of (dissociated) consciousness, but in all cases there is consciousness. Panexperientialists try to create a third but impossible category by appealing to extreme qualitative differences. I personally consider that an incoherent approach: for me, panexperientialism is just panpsychism. Richard, I don't have any formal background in philosophy, but I thought i followed you until the end. I dont see how your point about idealism/nondualism "losing" the argument follows from what you wrote. Perhaps you're conflating idealism and non dualism? Perhaps you've read somewhere in Bernardo's essays where he seems to conflate the two. But the Buddhists have spent over 2000 years arguing against Hindu idealism (though really, the western philosophic terms don't quite fit Indian philosophy, but leaving that aside for now), so actually, they are quite different. I think panpsychism is an excellent step on the way to non dualism, but doesn't fit as well with idealism. If you're interested in following this up, Sri Aurobindo spent 100+ pages (more than 10% of the whole text) of his "LIfe Divine" arguing against the monistic idealism of Shankara, which eh considered largely responsible for the weakening of Indian culture, which made it susceptible first to the Muslim conquest, then the invasion of the British empire. > Perhaps you're conflating idealism and non dualism? Yes, that may be true. My excuse (a poor one) is that Bernardo has been referring to "Idealism/Nondualism". I don't know that he meant to marry them, but you are right: the two concepts form a plurality, not a 'one' (!). "Non dualism" seems to me to be another way of saying "monism"? Why the preference for additional luggage (letters), I do not know. But idealism is neutral (I think) between monism and pluralism. If you ask (and who does? ), this is the most ancient, profound, fundamental and difficult problem of them all: the problem of "the one and the many". They talk in consciousness circles about the 'hard problem'; that ain't got nothing on that IMO! I'm afraid I am not very familiar with Buddhist philosophy (my bad). I have though been exposed to Shankara, and also to a bit of Advaita Vedanta (eg. James Swartz). Many thanks for your Sri Aurobindo recommendation. I must look at it. However, on the face of it, that he considered (Shankara) "largely responsible for the weakening of Indian culture, which made it susceptible first to the Muslim conquest, then the invasion of the British empire" seems to be a bit hard on the old boy. And was Shankara *really* a monist? (I ask because I do not know). So: Is there just one of us? Or are we "we"? Idealism is monist in the sense that it acknowledges only one fundamental ontological category: mind (Western terminology) or consciousness (Eastern terminology). You question whether this mind-at-large of Idealism is one or fundamentally divided into many. But notice that, in both cases, there is only one ontological category: mind. So it's monist nonetheless. Personally, I find it untenable to postulate that mind is fundamentally fragmented. One would have to explain the parallel and independent origin of all those fragments of mind, which doesn't seem parsimonious or reasonable. I also feel wary about trying to fit my formulation of Idealism in the terminology of older traditions, since they carry centuries of semantic load, which can lead to heated discussions purely about the semantics. So I prefer to simply explain my ideas in my own words: consciousness, whatever it may intrinsically be, is that whose excitations are experiences. All reality we can ever know is that which is experienced. There is no need to infer anything beyond experience to make sense of reality. As such, reality is a behavior of consciousness, there being only consciousness. Living beings are dissociated alters of this one consciousness. I agree with Bernardo that panpsychism is not idealism. I also agree that panpsychism seems to be growing in popularity in non dual circles. I attribute much of this to the quantum physicists influence in discussions of consciousness. Remember, they are essentially materialists by training. All this is fine as we work our way through the debate of consciousness. However, this growing divide in the non dual community will have to be resolved sooner or later. The problem is both sides haven't yet proposed an empirically clear understanding of how inanimate objects "fit in" to consciousness or are conscious. The idealists say, inanimate objects are in consciousness but aren't conscious. The panpsychists say matter is conscious. So, they disagree on the same point. Let's focus on that. The word consciousness is starting to get a bit like the word God because of its overuse. It has a lot of "baggage". First, both sides may have to find another word other than consciousness. I suggest "self-awareness". I suggest self-awareness because consciousness is first awareness of self. A fetus is first aware of it self before its enviroment. The same is true for infants. It is self reflective. If we can agree on that it's a small start. Are rocks and atoms self aware? Can we test self-awareness? 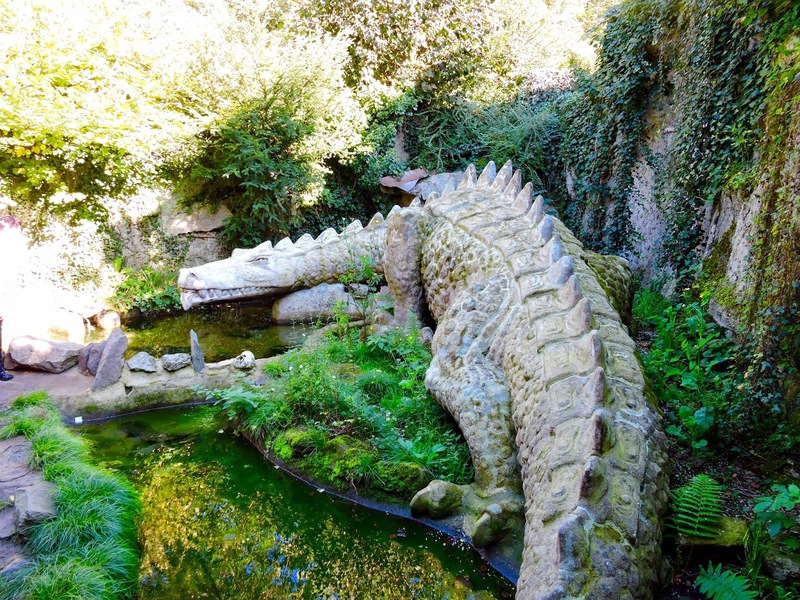 Actually, this has been done (to the best of our ability) with hundreds of species from plant to animal. Three tests I know of are the double slit test, the mirror test, and the hypnosis test (that's mine). The test quantum physicists use is the double slit test. To get an EM wave to become particles there must be a "conscious observer". No CO, no particle. We know humans can do this but not rocks, computers, or other inanimate objects. One for the idealists. However, what about other conscious animals? Do they cause an EM wave to turn into particles? We don't know. And what about plants which exhibit self awareness by botanist's research? Can they turn a wave into particles as the CO? We don't know. The "gray area" of when biologic life has testable consciousness is unclear. Do single cell organisms show consciousness? Multi celluar? Need just a nervous system (with just ganglia) like worms or a brain (CNS) like a chimpanzee, elephant, or dolphin? The idealists will have to be able to define this "gray area" better to win the debate. As for the homework for panpsychists they have to show self-awareness in inanimate objects (which would then become "subjects"). Until they scientifically test this at least for something like a rock, discussion of conscious atoms is mere speculation. So, the debate is on in the broad world of non duality. I can't wait to see who wins out. Sooner or later, it will be resolved. It must be resolved. Good luck to both sides. You said: "The test quantum physicists use is the double slit test. To get an EM wave to become particles there must be a "conscious observer". No CO, no particle." This is not true. The so called "collapse of the wave function" happens regardless of the detecting device being a conscious observer or not. Thus panpsychism can apply, in principle, to virtually any conventional theory of mind. There could exist, for example, a panpsychist substance dualism in which some Supreme Being grants a soul/mind to all things. There could be a panpsychist functionalism that interprets the functional role of every object as mind, even if such a role is only “to gravitate,” “to resist pressure,” and so forth. One could argue for a panpsychist identism in which mind is identical to matter; or a panpsychist reductive materialism in which the mind of each thing is reducible to its physical states. The only theories not amenable to panpsychism are those that (a) explicitly argue that only a certain restricted class of beings can possess mind (such as living things or Homo sapiens), or (b) deny the existence of mind altogether (that is, eliminativism). The fact that such restricted conceptions of mind are on shaky theoretical ground suggests that one should not rule out the panpsychist extension of other theories. Rather, the opposite view is perhaps the more reasonable: that one should hold panpsychism as a natural and logical extension of any given theory of mind, until demonstrated otherwise. He doesn't mention it, but panpsychism could easily be associated with non dualism (thought with much more difficulty, with idealism, which is one sided in the same way that materialism is one-sided, whereas panpsychism leads much more naturally to a non dualist view. Actually, if you look at the Gita, it essentially is taking the panpsychist view of Samkhya and molding it into a non dualist Vedantic view. one of the most interesting developments in 20th-21st century Indian philosophy is the integration of samkhya, Vedanta and Tantra with an evolutionary view. Michael Murphy presents this in a very interesting essay on evolutionary panentheism, which is basically the view undergirding the 14 year efforts of Ed Kelly and his group at Esalen, who produced "Irreducible Mind" and "Beyond Physicalism.' In the West, this seems to me to be the most promising challenge to materialism, whereas in the East - at least in India, I'm not aware of anything as potentially powerful as the work of Ulrich Mohrhoff in physics and the Indian Psychology Institute in psychology. By the way, my last comment doesn't necessarily challenge anything Bernardo wrote in his essay. i fully agree with his essay, if it's confined to Chalmers and Strawson, who seem torn between a naive materialism and a vaguely defined panpsychism. What would be helpful is to get some clarification as to the audience Bernardo is trying to reach with this essay. The people who write for the journal of consciousness studies wouldn't, I think, be interested in this, as it ignores most scholarly guidelines. But if he's writing for the educated lay public, it would be fine, I think. My only suggestion - at least, as a nod to clear thinking, would be a note somewhere indicating more clearly that he is not addressing philosophers but simply quite rightly critiquing some very confused thinking among some very well known spokespersons for consciousness studies. SImilarly, since Bernardo's definition of "idealism" is rather idiosyncratic - (he recently clarified something that has long been a mystery to me; that he is basically using terms as he has defined them; which is fine as long as it's clearly indicated) - it might be helpful in future writings to have some kind of statement of minimal length at the outset. Paul Brunton did this in almost every one of his books and many of his essays. He too presented a "preliminary" idealism (he called it "mentalism") which, as far as I can see, includes all the main points that Bernardo presents (all reality in consciousness; the objects as images in consciousness - though Brunton spoke of them as "ideas" in consciousness, etc) but from the very outset (the beginning of "The Hidden Teachign Behind Yoga", for example) he makes it clear this is only a stopgap measure. It's taken me about 8 months to figure out what Bernardo is doing, and I have previously criticized it on the basis of some wrong assumptions. If he is really creating his own system with his own definitions, then there's really nothing I have to criticize about it. That approach, I find somewhat problematic, but given that basic assumption and approach, his conclusions all follow quite rigorously. Just to follow up on that last point, for example, I was completely confuse as to why Bernardo wasn't more curious about finding more about people who have been world leaders in challenging materialism. But given what I'm now just figuring out, it really doesn't matter. He has a clear idea, he doesn't' really need anyone else's approach, which would probably just confuse the matter. In a way, this is what Eckhart Tolle and many other non dualist figures have done - though they too come out of a tradition. (bernardo seems to draw a lot on Jung; Rupert Spira and a number of other non dualist teachers go back to Jean Klein and before him to Krishna Menon, etc). Here's a leading Psi researcher considering panpsychism. You see the confusion this raises. I'm counting on Bernardo to help move us forward. I guess again, I would say, who are you speaking to? I'm not aware of any philosopher who takes Dean radon seriously on - well, almost anything, but certainly not on philosophy! in fact, quite a few parapsychologists I've read say Radin is not even that good (I agree) on parapsychological theory). Ed Kelly is a psychologist who recently edited a book on the underlying philosophy of a whole new approach to science. Ed is very forthcoming about the fact that he is a practical guy, he's not much good with theory or with philosophy in general. So he gathered together a group of people who are experts in various aspects of philosophy. I've read all the comments above and I still think there's a problem with defining panpsychism your own way. But I may be wrong and maybe this approach will work. Frankly I hope I'm wrong and it does work, because I think Bernardo has great things to say. I just hope he finds an audience for it. i'm not sure I can make it any clearer than that. As to the ideas of Mr. Bernardo Kastrup, it may be that I will end up, like you, taking them more and more positively. Yet, as of now I see very many problems with the ideas stated in the article above. I will detail them in the next days, as I am interested in starting studying his ideas further, and make comments about them along the way (i.e. along the various articles and books from him that I might come to read). Regarding Deans comments at the end of the video above, this is easy to resolve. Although it is true in a sense that we in the physical are more memory than awareness, fundamentally it's false. Does awareness require memory? No. Does memory require awareness? Yes. If this is true awareness is more fundamental than memories. This is consistent with idealism. In fact, this "rule" of reality is useful for all apparent paradoxes. Just compare and contrast the two things of the paradox to determine which "needs" the other to exist. The "needy" one is less fundamental. For example, the double slit experiment and wave-particle duality paradox. You can ask what is more fundamental, the wave or the particle? But, soon you will discover that is the wrong question. There aren't really two "things", there is one thing being "seen" as two. How does that happen? The "conscious observer" does that. Then ask which needs the other to exist? If there is no conscious observer, does the wave-particle exist? No. However, if there is no wave-particle does the conscious observer exist? Yes. So, the conscious observer is more fundamental in reality. It is the solution to the paradox. You can use this "rule" with any paradox to determine the underlying greater truth. But, keep in mind the answer may lead to another paradox which can resolved with a more fundamental truth. This is the fractal qualia of all reality. You understand. You said: "Then ask which needs the other to exist? If there is no conscious observer, does the wave-particle exist? No." As a matter of fact, as long as the Quantum Theory goes, the answer would be YES. Quantum Mechanics, like any other human scientific theory, makes no provision whatsoever for consciousness. And then you say: "However, if there is no wave-particle does the conscious observer exist? Yes." John, do you have any thoughts about the audience for this? For example, for our website, www.remember-to-breathe.org, we made an effort to write at an 8th grade level. This is actually something that is quantified - for example, George Bush (George the Second, that is:>) was found to speak generally at a 6th grade level (I'm using American grade levels here), and Obama generally talks at a 10th grade level. So we're somewhere in between. What is the audience for this? Scholars? If so, I think it will be quite challenging, since they will contest the definitions of both idealism and panpsychism given here. Educated laypeople? Well, how specific is that? In the US, about 25% of the population has a college degree. The writing in articles like this requires at a minimum a college education. But of college graduates, only half read a book a year, and of those, only half read nonfiction. The vast majority of nonfiction is of biographies, popular topics in the news, etc. So you're aiming at about 10% of the population. Here, that's over 30 million people, so that's not bad. But I assume you're also talking about people interested in philosophic matters. So now you're doing to a few hundred thousand people, at most (most philosophic journals and books get an audience of 5000 or so). But then there's a problem, because a large number of amateurs who are interested enough in philosophy to know what "ontology" and "idealism" and "panpsychism" mean tend to have views much like the scholars, which is that any word used is part of a tradition. So now you're down to the popular crowd who reads things like Rupert Spira and Eckhart Tolle, but most of them have an intense dislike of intellectual effort. So now you're down to a 1000 or so people. If that's your aim, it's fine, But if not, it seems like it could be helpful to get some clarity about this. That's why I keep coming back to definitions of things ike panpsychism and idealism. I hope there's no unpleasant tone to this. I wouldn't write this if I didn't think what is being said here is worthwhile. Worth something, that is, beyond a few dozen guys having an interesting conversation on the net. I've also read all the clarifications above, and I still don't think they address the points I'm raising here. But again, I may be wrong:>)) if so, leave it at that. Hi Don. Love reading your ideas. It is true that these are "different" ideas than what we are raised with. But, I don't think they are difficult or complicated to understand. In fact, I think they are pretty simple. The greatest obstacle is not the idea, say of idealism, but the resistance to being open minded to a clearer way of seeing reality. So, how to we overcome that closed mindedness? We need to tell the truth (as best we can), answer sincere questions from others, and be humble (minimize ego). Ultimately, a person has to want to understand a simple, greater truth. There are no perfect words, no silver bullets, just simple, honest conversations. You can lead a horse to water but you can't make it drink. That desire must come from inside. It's true for me. It's true for every one. I gladly accept that reality. And, despite the attacks by some, I choose to believe most people are very thirsty in this materialist world. Here's another former materialist neuroscientist that's joined the idealist bandwagon, having discussions with others. I just sat down to get back to work, affirming I would NOT engage more with this, and here is your interesting letter. Sigh…. I'm probably just repeating myself, so please you and anyone else forgive me or just close the computer down! My point has nothing to do with how difficult it is. I know how easy it is. I just had a talk a few weeks ago with a very well trained theologian pastor, talking about classical theism (which sees a strong dualism between the "Creator" and well, "us"). I talked about Christian mysticism which sees God as "He in whom we live and move and have our being." I knew from long long conversations with other conservative religious folks that intellectual discussion would get us nowhere. So I offered him a simple exercise, of the kind Rupert Spira and other non dualists often teach. I had him attend to "sounds" in his mind (mainly, thoughts) and sounds in the environment, and I just asked, "Can you find a clearly identifiable boundary between the "inner" and "outer" sounds? I then did the same with sensations - body sensations and the tactile awareness of the seat and floor beneath him. That's all it took. He understood mysticism for the first time in his life, and he was in his mid 30s and had been a big name pastor in a community he had been part of for several years. Eckhart Tolle reached over 10 million people with one TV series, and all he said was attend to what is happening "now" without commentary; just be aware of it. But here we're using incredibly difficult language (John, I hate to break it to you, but whatever expertise I have as a clinical psychologist I will use now to tell you, you're most likely at the VERY least in the top 25% of intellectual ability and based on your language, I'm guess it's more likely to be an IQ over 120, which is the top 10%. Then you have to figure on that of that top 10%, about 99.99% couldn't care less about philosophy. One of my dissertation advisors was a brilliant statistician. I sent her a link to my paper, "Shaving Science With Ockham's Razor" I wrote it without much philosophic jargon and intended it to be accessible to the philosophically uninformed. She wrote me back a very nice letter thanking me for the link but saying she couldn't understand any of it, and always hated philosophy so again, she apologized but said please no more of anything like that. That's been my experience with the majority of people I've met who otherwise are interested in this matters. Most people run screaming when you start talking about "ontology" and "intentionality" and "idealism." So that leaves philosophers - but if you're talking to philosophers, there are certain conventions. Apologies if any of this seems ornery or disrespectful; i don't mean it that way but kindness in tone is sometimes hard to convey in the dull black and white of online typing. Hi Don. I think what you are doing, trying to help people understand reality better is great. Language inherently does have limitations so I get the frustration when we "talk over" someone's head or we "talk past" each other. That can be a great challenge you've taken on talking with others. So, what do we do? We start at the begininng, we define terms, we answer questions, just like we do from first grade to twelfth. In fact, you may have to do that for while before moving on to "second grade". Even when you get most of the class to "fifth grade" be ready to review first grade again when needed. Welcome to the hard, often thankless work of being a Teacher. Its the best we can do. Here's an example of Don Hoffman keeping it simple (first half). Depending on the audience we could easily give the same presentation without all the "big words". Call it "first grade" language if you like. The underlying truth remains the same. What you feel about physical things is true – there is a consciousness in them, a life which is not the life and consciousness of man and animal which we know, but still secret and real. That is why we must have a respect for physical things and use them rightly, not misuse and waste, ill-treat or handle with a careless roughness. This feeling of all being consciousness or alive comes when our own physical consciousness – and not the mind only – awakes out of its obscurity and becomes aware of the One in all things, the Divine everywhere. From "Letters on Yoga", Sri Aurobindo. My understanding is that this perception is virtually universal, for thousands of years, the world over. We have a great deal of modern parapsychological research which, if read the right way, amply confirms the above thoroughly empirical, non-speculative observations. The whole idea that "There's no evidence that physical things are conscious" is extremely interesting. (Or there is no "what it is like to be" a physical thing. Is there any evidence that anything is conscious? Alan Wallace says that our current scientific methodology does not allow us to say we have **direct** evidence that anything is conscious. At best, we have direct subjective awareness of our own experience, and we look at brain activity correlated with our experience and speculate that similar brain activity in others provides indirect evidence of their experiencing. The problems with this are many - formerly, it was thought that non-REM sleep meant the absence of conscious experience. But recent research shows that lucid dreams take place in non-REM sleep. But what about delta wave/deep sleep? Well, experiments conducted at the Menninger foundation in 1973 demonstrated that an individual can report lucid awareness of events taking place in a room where his brain is measured as being in deepest "delta wave" sleep. And what about NDEs? Assuming we accept the evidence that people recall events when there was (almost?) no brain activity, then we now have to abandon the idea that the sole means of providing evidence of conscious experience in others is through correlated brain activity. So do we have any 'Scientific' prove that others have conscious experience? What about one celled organisms? Nakagaki, a Japanese neuroscientist, claims his experiments demonstrate sentience in amoebae. Psychologist researcher Henry Hunt agrees. At the beginning of the 20th century, neuroscientist Bose declared that reaction to a stimulus is evidence of awareness of some kind, therefore, he concluded, the various metals he was testing demonstrated the presence of some kind of proto consciousness. Furhtermore, Wiliam Braude and other parapsychologists have demonstrated the ability of numerous psychics to affect changes in physical things like rocks, water, etc. The psychics themselves report "feeling" the presence of some kind of "Consciousness" (prana, conscious life-energy, for example) in these things, and that it is by contacting and communing with this conscious-energy that they are able to effect physical changes. By the way, the "consciousness" that Bose declared to exist in physical things was a non-mental consciousness (hence, the overwhelming consensus among mystics that the highest consciousness is not mental, therefore, the almost universal rejection of the kind of "idealist" thought that characterizes most of the post Renaissance age). Even the non-mental life (or chi/pranic) consciousness in animals and plants is seen by many to be quite dramatically different from the purely "physical consciousness" described by Aurobindo about 2 or 3 comments above. Interestingly, far from being the wild speculations of ancient sages inaccessible to the average person, I'd be willing to wager that I could walk out on to a downtown street just about any day of the year in Austin, Texas, Portland Oregon, Asheville, North Carolina, Burlington Vermont or any number of similar places, and within 10 minutes of talking to random people, find a number who not only believe this but believe they have experienced it as well. Bernardo Kastrup, a computer engineer who has written a few books on metaphysics, recently posted a short essay called “The Threat of Panpsychism: A Warning.” I found the essay somewhat encouraging if only because it is another signal that contemporary philosophy (both within and outside academia) is moving beyond the tired “materialism v. anything else” debate and toward more interesting and relevant debates, like that between pluralistic panpsychism and monistic idealism. Kastrup defends the latter, but only against a rather oversimplified, caricatured version of panpsychism. I wanted to respond to some of his “warnings” by offering a more nuanced rendering of panpsychism that has arisen from my study of Alfred North Whitehead and William James. Karstrup begins by defining panpsychism. He picks out two basic interpretations: 1) one suggests consciousness is a fundamental property of matter just like mass and charge, etc., and 2) the other suggests that consciousness is intrinsic to matter–that it does not inhere in matter alongside other properties like mass and charge, but that these properties are just the external faces of what, from the inside, experiences itself as conscious. These interpretations, Kastrup admits, differ only in their subtleties. Through Kastrup names no names, the two positions sound similar to the panpsychisms articulated by Galen Strawson and David Chalmers. What is unique about the Whiteheadian process-relational version of panpsychism is that it rejects the substance-property and identity-based ontology shared by Strawson and Chalmers. Kastrup’s main concern with panpsychism (so defined) is that it “fragments” consciousness into atomic bits; further, he worries that these mind bits remain determined by material bits. But these concerns are, I argue, resolved by the process-relational version. Although Whitehead’s panpsychism does involve the particulation of psyche, these psychic particles (W. calls them actual occasions) are each and all internally related and co-constituting; they are interpenetrating drops of experience, not isolated monads of private mentality. Fragmentation is thereby averted. Whitehead’s version of panpsychism doesn’t rush to reduce matter to mind (or to reduce the multiplicity of materiality to the identity/unity of mentality). Whitehead’s whole philosophical method is designed to avoid the sort of reductionistic overstatements that lead to absolute idealisms and absolute materialisms alike. His is not a polemical but a diplomatic philosophy, always searching for the middle ground that incorporates the elucidatory aspects of all approaches in search of an adequate compromise. Whitehead’s approach allows us to understand mind and matter, as well as wholeness and particularity, as equally necessary, integral phases in the ongoing process of cosmogenesis. I wonder what Kastrup would make of William James’ little book A Pluralistic Universe, wherein James articulates some rather strong arguments against monistic idealism and in favor of a kind of pluralistic panpsychism. To my mind, what Kastrup arguing for in this essay is only another form of reductionism–reduction to Unity and Mind instead of to Matter. This is reductionistic, I would argue, because it negates the variety of modes of existence that make up our cosmic community. Ontological pluralism seems more true to experience (both common every day experience AND mystical experience), since it doesn’t deny the possibility of unity, it only denies that things are necessarily unified. Necessary unity is politically frightening to me. It is too fascist, too totalitarian. I prefer democracy both politically and ontologically. Order, oneness, unity, etc must be freely affirmed, freely achieved. They cannot be metaphysically imposed. There is much more to say about all of this, of course. I am hoping to provoke Kastrup into a longer discussion, since I agree with William James that the contrast between pluralism and monism is the most pregnant of all the contrasts in philosophy. It seems to me that panpsychism is being rejected on the basis of two particular formulations of it, even though those formulations are not necessary and afaik not even common. To endorse idealism and reject panpsychism seems impossible to me. We can reject the versions that Bernardo rejects yet still endorse it as a grab-all word for a group of related theories. Panpsychism certainly does not require that chairs be conscious. Nor would it require that consciousness is a property of matter. When Penrose talks about consciousness as a being 'as' fundamental as mass and energy, it would not follow that it is a property of matter. That question is left open. I must admit to wincing when I saw the phrase 'idealism/nondualism' since it might suggest they are interchangeable. But monistic idealism is just what nondualism is not. This is a point made over and over by Don. While in many contexts the distinction may not matter much, when we get down to basics it would be the difference between a view that works and a view that doesn't. As a staging post monistic idealism is extremely useful but as a destination it is unsatisfactory in my opinion. It seems to me that the meaning of the phrase 'soul everywhere' could be bang in line with either materialism, idealism or nondualism since it does not state that mind is a property of matter or that matter is a property of mind. It just says that soul is everywhere. To say that space is everywhere would not imply that space is made of matter. I'm with Don. Mind and Matter have to be reduced for an ultimate view, and it is only this approach that can solve metaphysics. (As Nagarjuna demonstrates - does noes nobody read him?). This leaves monistic materialism as wildly incorrect, monistic idealism as a good approximation, panpsychism as correct for one particular formulation, and nodualism as completely correct. The word 'nondualism' is clearly designed to exclude monism, as is 'advaita' or even 'middle way'. Hi Peter, if you are still around, what is the difference between monism and non dualism? If anyone else happens to have a good answer, I would appreciate it. Out-of-body experiences explained... or are they?